Went to Pismo Beach again last weekend. Aspen receives such wonderful compliments on his appearance. Many people stopped to admire him, pet him, and just say what a beautiful dog he is. One family who even breeds and raises chocolate labs said that he's a very solid, strong, and gorgeous lab. They stopped to inspect him. Was kinda funny at first! Rookie checking in on his 1st Birthday! 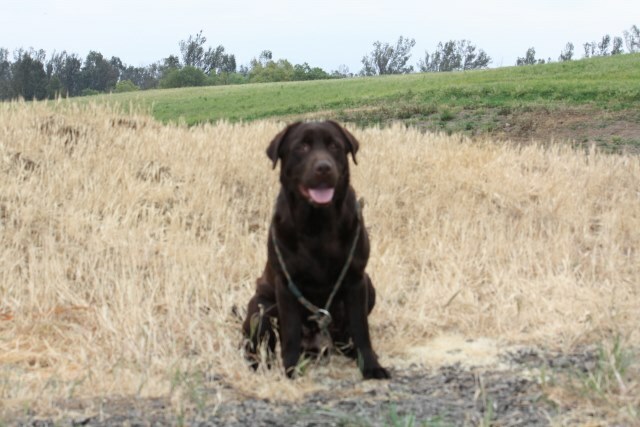 I am the happy owner of one of a Harlow?s Labrador Retrievers. Our puppy is named Koa Parker and is 15 weeks old now, very healthy, beautiful and VERY smart with an excellent temperament. I had a wonderful experience with this breeder. Great seller, great communication, very pleased. I will recommend this breeder to EVERYONE with NO hesitation!!!! Hi Jennett, Just wanted to give you an update on Buddy his potty training is perfect no accidents yet. Also, have a private trainer and Buddy has learned the following commands stay, down, come, leave it and of course sit. He is the best puppy we have ever seen. My hubby broke down and now Buddy sleeps in our bed. He is doing great on car rides and loves to go on walks. We will send a Christmas picture for your family. Thank you again for being such a great breeder.